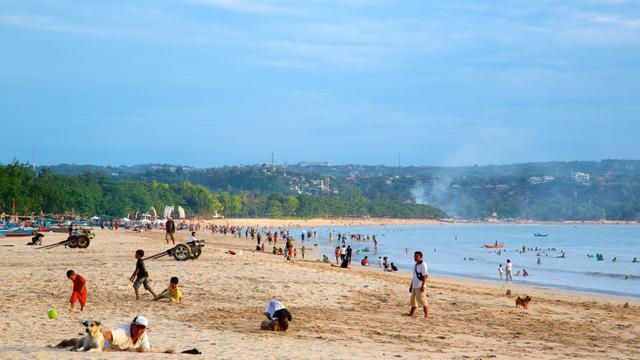 Jimbaran beach and the famous Jimbaran Bay are on Bali's southwestern coast. 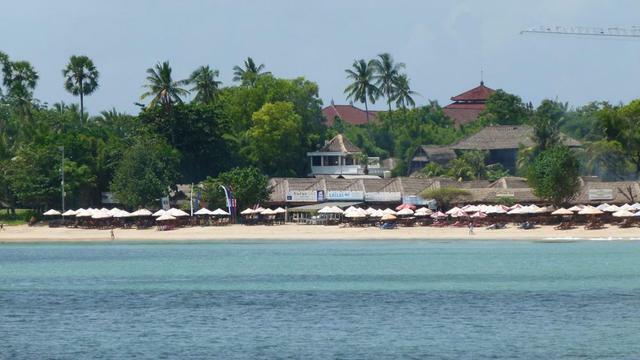 The beach is part of the narrow isthmus connecting the Bali mainland and the Bukit Peninsula. 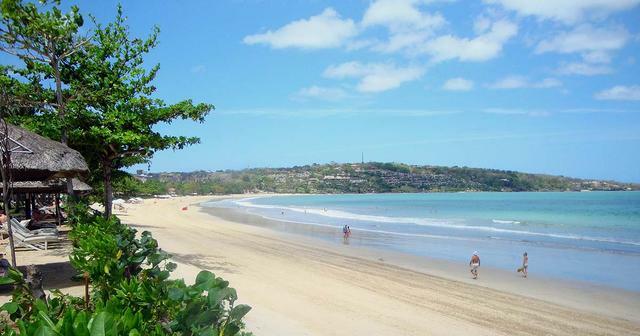 The beach and the bay of Jimbaran offers small secluded areas. The tranquility and peace you can find here can be a perfect antidote to a stressful world. The land gently slopes away from the beach revealing exclusive celebrity haunts. Some are hidden under a canopy of leafy coconut palm groves. 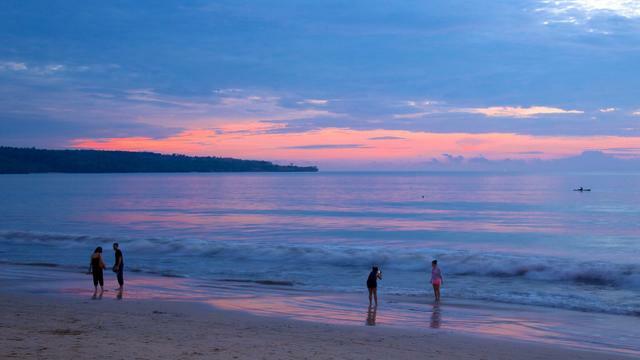 Jimbaran Beach is also known as the home of luxury hotels.